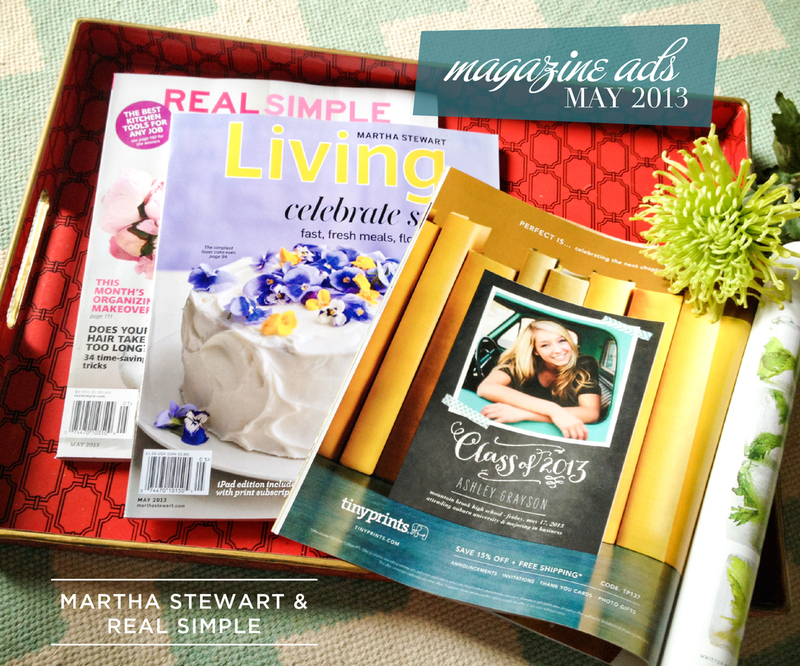 Wow, I could not be more stoked to say that my design is featured in the May issues of Martha Stewart and Real Simple! The ad Tiny Prints created is beautiful, and I am completely honored they chose my design. Look for it in June’s issues as well. You can purchase this design here. It is available in multiple color and layout options to coordinate with your graduate’s photos.